John Sheppard was an outstanding composer of the mid Tudor period and was born around 1515, a near contemporary of Tallis and Tye. It is inevitable that attention has been given to his Latin music as it is superior with that of the Anglican rite. Nevertheless, his Anglican music is a significant part of his output and should not be ignored. Unfortunately much of his English-texted music survives so incomplete that it cannot be recovered; nevertheless the present recording and the companion (Priory PRCD 1081) aim to make available as much of it as possible. 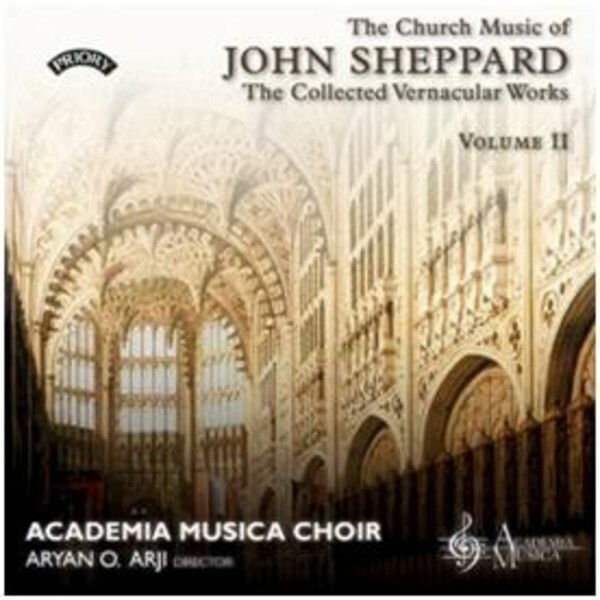 This CD was recorded in the pure and ethereal acoustic of Gloucester Cathedral by the accomplished Academia Musica Choir.